EDINBURG – As he was escorted out of the Hidalgo County Courthouse to be returned to the Hidalgo County Detention Center, Juan Morin Jr. turned his head for one last glance at his grandmother seated on a bench outside the courtroom. Her tear-stained face looked back at the young man she helped raised, who swayed slightly as he made his way down the hallway, his wrists and ankles shackled together. Morin, 19, accepted a plea agreement Monday, resulting in the dismissal of attempted murder of a police officer and attempted aggravated robbery charges. Instead, Morin pleaded guilty to aggravated assault of a public servant and burglary of a habitation. 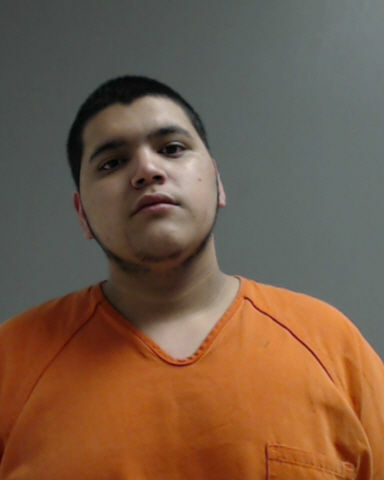 According to police records, Morin attempted to rob a group of people holding a poker game at a McAllen house in January 2017 after an unknown man known as “La Rana” told him there would be $150,000 involved. The homeowner called the police after the home security camera caught Morin in the yard. When officers arrived and identified themselves, Morin pointed a gun at them, according to an officer’s statement. She alleges that “La Rana” – who the police never identified nor apprehended – gave Morin drugs and encouraged him to engage in illegal activity. She said the men first met when Morin was working at Stripes and “La Rana” encouraged him to sell him beer at a reduced price. Hidalgo County Auxiliary Court Judge Jaime Garza sentenced Morin to five years in prison – the minimum punishment for a first-degree felony – and allowed him to receive credit for the 211 days he’s served since his arrest. After reading the sentence, Garza gave Morin’s grandmother a chance to say goodbye. She crossed the invisible boundary between the inmates and the public in the courtroom gallery, enveloping her grandson in a final hug.